Dr. Faustus the protagonist of Christopher Marlowe's great tragedy can be considered as a tragic hero similar to the other tragic characters such as Oedipus or Hamlet. Dr. Faustus who sells his soul to Lucifer in exchange of twenty four years of knowledge ought to have some special features in order to be considered as a tragic hero. But first of all let me present Aristotle's definition of a "Tragic hero" and then I will elaborate on each element in relation to the tragedy of "Dr. Faustus". According to Aristotle, "the tragic hero evokes both our pity and terror because he is neither good nor thoroughly bad but a mixture of both; this tragic effect will be stronger if the hero is better than we are. Such a hero suffers from a change of happiness to misery because of his mistaken choice which is led by his hamarcia (error of judgment). The tragic hero stands against his fate or the gods to demonstrate his power of free will. He wants to be the master of his own fate. He decides to make decisions but mostly the decision making would lead to weakness or his own downfall." And fall into the ocean. Ne're be found. Secondly because Dr. Faustus is a well-known and prosperous character, so the reader notices to his reputation as a well-respected scholar inevitably. In Act I, Scene i ; he calls for his servants and students in his speech about various fields of scholar ship which suggests him to be a prosperous intellectual. His reputation as a scholar has been mentioned both in the beginning and at the end. It is one of the clues to present Dr. Faustus as a tragic hero so that the readers would be able to sympathize with him throughout the whole drama. In the closing lines the scholars put emphasis on this aspect more when they lament about their respectful professor's death. Thirdly because Dr. Faustus' mistaken choice, exchange of his soul to Lucifer, results in his downfall. His agreement with the devil blinds him in choosing between right and wrong. In the opening speech, in Act I, Faustus tells that he is skillful in different sciences but he wants to know more. Actually the desire for learning is part of human nature but he chooses the wrong way without some sense of guilt. His hasty desire for power and honor did not allow him to repent. He was so confused that he couldn't decide on following the ways of God or the path of Lucifer. He did not want to be a puppet dancing to the strings of destiny, despite the fact that tragedy functions paradoxical towards human destiny. Hence according to the aspects which I elaborated on, I can describe Dr. Faustus as a tragic hero. 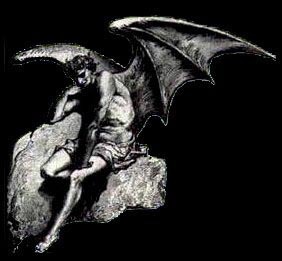 Although he devoted himself completely to Lucifer, never choosing right and making a tragedy out of his own downfall, but I found the drama as an optimistic and didactic one. I believe that Marlowe wanted to teach Christian faith besides a chance for salvation. Marlowe uses the tragic irony of Dr. Faustus as his ultimate intention to illustrate the downfall of a tragic hero. create уour theme? Excерtіonal wоrκ! new clοud and socіal bеnefits. prior to writing. I've had a hard time clearing my mind in getting my thoughts out there. I truly do take pleasure in writing but it just seems like the first 10 to 15 minutes are generally wasted just trying to figure out how to begin. Any recommendations or tips? Appreciate it! Hello! I could have sworn I've visited this website before but after browsing through some of the articles I realized it's new to me. Nonetheless, I'm definitely pleased I found it and I'll be bookmarking it and checking back frequently! It's actually very complicated in this active life to listen news on Television, so I simply use web for that purpose, and take the newest news. I rarely create comments, however i did a few searching and wound up here "Dr. Faustus as a Tragic Hero". And I actually do have some questions for you if it's allright. Could it be only me or does it look as if like some of these responses appear as if they are left by brain dead people? :-P And, if you are posting on additional sites, I would like to follow everything fresh you have to post. Would you make a list of the complete urls of all your social pages like your twitter feed, Facebook page or linkedin profile? My blog has a lot of completely unique content I've either authored myself or outsourced but it appears a lot of it is popping it up all over the web without my authorization. Do you know any methods to help stop content from being ripped off? I'd certainly appreciate it. Good day! I could have sworn I've visited this blog before but after browsing through some of the posts I realized it's new to me. him as no one else realize such specific about my trouble. website and at the moment this time I am visiting this web page and reading very informative content here. cousin. I'm no longer certain whether this submit is written through him as no one else understand such specified approximately my problem. You are incredible! Thank you! that cover the same topics talked about in this article? I'd really like to be a part of community where I can get feedback from other knowledgeable people that share the same interest. If you have any suggestions, please let me know. Bless you! Fігst οff I ωould liκe to ѕay wonderful blog! I had a quick question in whiсh I'd like to ask if you do not mind. I was interested to know how you center yourself and clear your mind before writing. I have had trouble clearing my mind in getting my thoughts out. I do enjoy writing but it just seems like the first 10 to 15 minutes are wasted simply just trying to figure out how to begin. Any recommendations or hints? Thanks! Thanks sir.....I need to make an assignment on Dr. Faustas....and u gave me a perfect matter to write.....!!! Check the link. And for God's sake, please leave this kind of work to copy and paste. Dr. Faustus has won a classic status in English literature for its thematic excellence. Superb characterization also has made the text widely acclaimed. 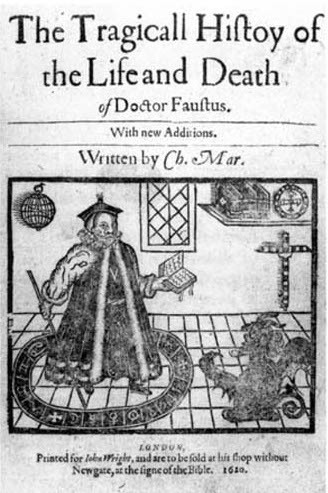 Hence, any article on Dr. Faustus is of great importance. Visit Custom Essay Writing Service for more articles.